east side bride: wedding necklace much? 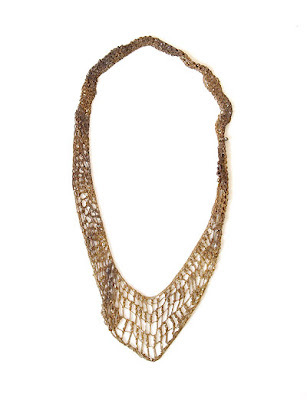 I'm also kind of digging this Wendy Nichol horse hair necklace, you know, for the right bride. Excellent! I always feel so weird with big chunky, heavy jewelry on...but for some reason this necklace looks like you could possibly forget you were even wearing it...and still be looking fancy as all hell..
Dear lord I love this.